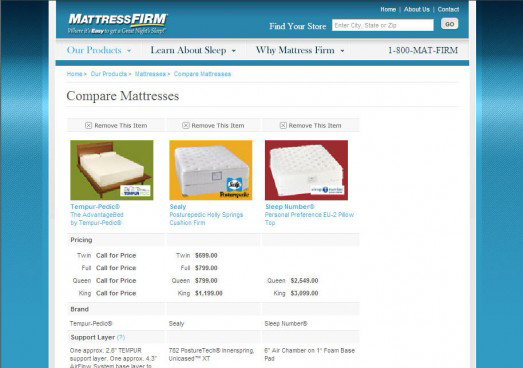 CHALLENGE: MattressFirm.com had not been altered in several years. The goal – to build trust with consumers by educating them. 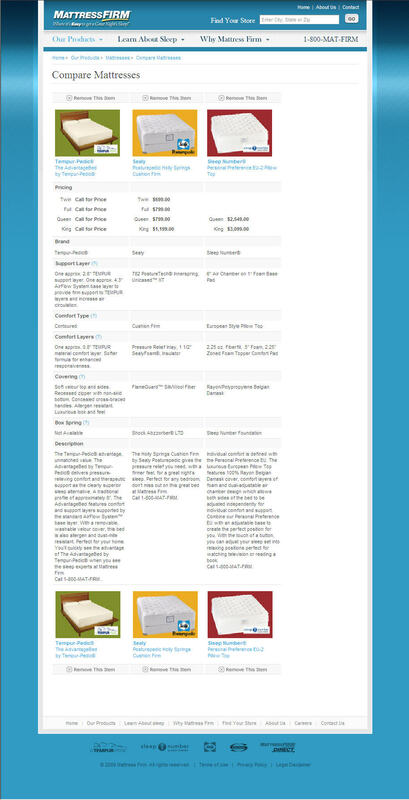 SOLUTION: a complete content overhaul, with a new product catalog that standardized mattresses across product categories, giving customers an informed choice. After substantial research, I was able to create a completely new taxonomy and content for the product catalog.